Service animals are amazing creatures. They selflessly and lovingly perform all sorts of tasks for their human wards. Every once in awhile it is nice for us to be able to return the favor to them. That is why Dr. Gearhart, Oakland Veterinary Referral Service’s veterinary ophthalmologist, is participating in ACVO/Merial’s National Service Dog Eye Exams during the month of May. During this campaign, boarded veterinary ophthalmologists provide free ocular screening examinations to qualified service animals. During this screening, problems such as redness, squinting, cloudy corneas, retinal disease, cataracts, and other serious diseases will be able to be identified. By providing this service, they hope to identify and prevent any problems that may affect the animal’s vision. Detecting problems early is essential to these dogs’ futures. All about heartworm disease… How much do you know? So, what exactly is heartworm disease? Heartworm disease refers to clinical symptoms that result from a parasite injected into the bloodstream by mosquitoes. Larvae are injected into the dog’s blood stream by a mosquito bite. These larvae travel to arteries within the lungs and become sexually productive adult worms. Adult worms produce “heartworm babies” which are ingested by mosquitoes after biting an infected dog. These babies go through another growth phase within the mosquito and the larvae are then injected back into another dog via a bite from the mosquito. Clinical signs that are associated with heartworm disease are due to inflammation within the lungs. An intense inflammatory reaction causes lung disease and respiratory symptoms (coughing, shortness of breath). In advanced stages of the disease, the patient may become weak and have signs of respiratory distress. Cats are not a part of the heartworm life cycle, but they can become infected. A cat may become ill after being infected with only one heartworm. A small number of worms may not cause symptoms in a dog, but the dog may serve as a reservoir of infection for other dogs. Owners can help decrease exposure to mosquitoes and limit their reproduction by removing any standing water on their property. Whenever possible, cover any open sources of water. Fish may help reduce the mosquito population around ponds. Dark clothing attracts mosquitoes, so people should wear lighter colors. Mosquitoes are most active at night, so both you and your pets should avoid excessive outdoor activity after sundown. Whenever you are outdoors, wear mosquito repellent and check with your veterinarian for a pet-safe mosquito repellent for your dog or cat. Other ways to minimize exposure to mosquitoes include using screens in your windows and doors and inspecting them to ensure there are no holes large enough for a mosquito to fit through. Avoid having your doors open any longer than necessary at night. The most important preventative measure for your pet is a monthly oral preventative medication such as Hartguard. 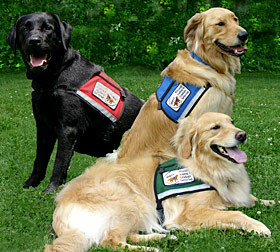 Ask your veterinarian which brand they recommend and be sure to keep your pet protected. Medical management of heartworm infection is aimed at destroying the worms and treating any secondary complications that result from the infection. Some patients require medications to relieve inflammation within the lungs. To “kill” the adult worm, there is a specific agent that is injected. The third phase of therapy is to reduce the number of “heartworm babies” in the bloodstream. The medication used to eradicate adult worms cannot be used in cats. Heartworms have a shorter life span in cats, so the clinical signs are generally treated medically until the worm dies on its own. In very advanced cases in both dogs and cats, surgical extraction of the adult worms from the heart may be required. If your pet is not yet on a heartworm preventative, be sure to call your veterinarian as soon as possible. Heartworm is much easier to prevent than it is to treat. If you’re interested in learning more about veterinary cardiology, you can visit our cardiology page. Pick a primary contact. 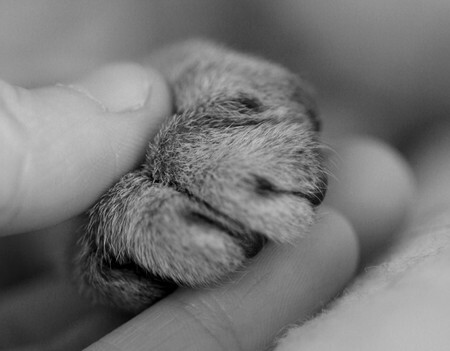 Many times when a pet is hospitalized, serious discussions must be had and decisions made. It is helpful if one person is the primary contact for the doctor. This helps to minimize confusion and keeps communication clear. It is also important that this person be readily available by phone in case of emergency. Feel free to call. While you will be updated by your pet’s doctor frequently, we realize you are probably worried. 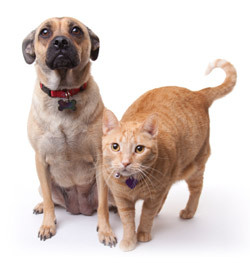 Know that we will always update you immediately regarding major changes in your pet’s health. You may also feel free to call and “check-in” at any time. If you do so, however, please realize that the doctor may be busy caring for your or other pets and that the staff may only be able to give you limited information. Observe visiting hours. Because of the nature of a hospital, heavy visitor traffic can disrupt the care of our patients. We encourage you to visit your pet between 6 p.m. and 8:30 p.m. We also ask that you limit visits to 15 minutes. If you are unable to visit during visiting hours, please talk to your pet’s doctor regarding other arrangements. Schedule your discharge. When your pet is being released from the hospital, please schedule a time during normal hours to pick him/her up. This way the doctor can set aside time to talk with you and answer any further questions. After hours discharge is also available, although your pet’s doctor may not be. In this instance, another staff member will release your pet. If your pet is scheduled to be hospitalized with us, please contact us with any questions or concerns that you may have.